For additional information about this book, visit the website earthskyheartsoul.com. Earth & Sky, Heart & Soul is offered in two parts. In Part 1, “Earth & Sky,” the author uses evocative prose to express his “search for a boundary to exist within.” Section headings in Part 1 reflect the four seasons, and the poignant narrative illustrates our interrelationship with our planet. In Part 2, “Heart & Soul,” he finds freedom in the infinite. 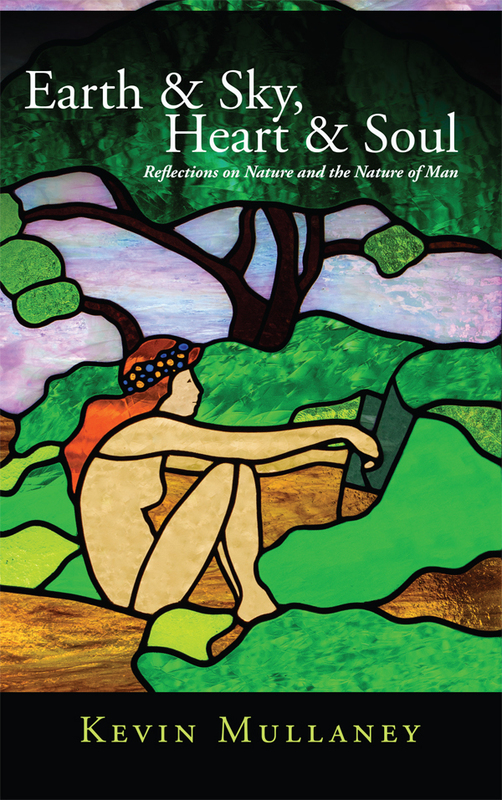 Part 2 is a collection of insightful odes in which we “summon the secrets of the soul.” The book’s eloquence is enhanced by its illustrations—exquisite images of glass art, created by Mullaney, that emphasize man’s deep relationship with nature and his gratitude for existence. Earth & Sky, Heart & Soul is unique and awe-inspiring. As Kevin Mullaney tells us, “Just as light flows through a prism, light shines through our souls and is dispersed through our hearts.” His book ignites that light. This book is deeply rooted in the spiritual and transcendental. It is a short piece of work with corresponding glass art images which emphasize mans deep relation with nature and his gratitude for existence. These writings are thoughtfully expressed with a profound appreciation for mankinds inner divinity. It is divided into two sections; Part 1 where he searches for a boundary to exist within, and Part 2 where he finds freedom in the infinite. Kevin Mullaney was born and raised in St. Marys, Pennsylvania. At the age of twenty, he put his schooling and work aside to devote one year to being secluded in a remote cabin in the mountains of western Pennsylvania. Part I was written during this seclusion. The next forty years were spent raising a family and pursuing a career in the field of public works construction and management, until his retirement in 2009. Kevin resides in Flagstaff, Arizona.